Twilight Boutique in Lakewood, Ohio Has Affordable Hookah Tobacco, Tattoo Needles, Water Pipes, and More! Though primarily known as the month of Mother’s Day and Memorial Day, May is also known for being one of the best shopping times of the year! Take the trip from your Cleveland, Ohio or Rocky River, Ohio home to any retailer this month and you’re sure to find great deals on a wide range of products—including those from your local pipe store! That’s right, even Twilight Boutique in Lakewood, Ohio is running specials on their already affordable hookah tobacco, tattoo needles, e-cigs and e-liquids. Plus, you can receive a discount on one of their ash catchers or inline perks when you purchase one of their water pipes. It’s hard not to reminisce with the holidays approaching as we sit in front of the fireplace, remembering the days when we warmed up by the fire after a long day of sledding, building snowmen, and having snowball fights at Grandma’s house. Just because you’re older doesn’t mean you shouldn’t still enjoy warming up by the fire. 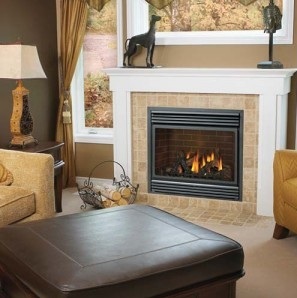 With Fireplaces & More in Uniontown, Ohio, you can get a brand new fireplace and have professional fireplace installation service from the same location. Whether you’re in Canton, Ohio or Barberton, Ohio, Fireplaces & More also has chimney cleaning services to get your old fireplace back to new for this upcoming holiday season. Fall is truly one of the best times of year, isn’t it? What with Halloween, pumpkin carving, trick-or-treating, Thanksgiving, and the beautiful color changes that sweep over the Summit County, Ohio area. It’s the perfect time of year to participate in fun family activities with your loved ones. And if you happen to live in the Akron, Ohio area, then you’re just minutes away from really great events that are being hosted at Figaro Farms Fresh Market. The folks at this Green, Ohio facility love the autumn season as much as anyone, which is why they’ve planned a bunch of festivities for locals to take part in. This year marks Figaro’s 7th annual Fall Festival, with a long list of events that adults and kids can enjoy. Whether you want to go through the Haunted Trio (a group of family friendly scares), play a game of Spud Slinger, compete in a Corn Toss competition, or simply take a scenic hayride through Figaro’s gorgeous fields, now is the time to hop in the car and drive to Figaro Farms Fresh Market!